Hello Scotland Families, Chaperones, and Staff! Welcome to the first of many official Scotland 2016 Tour emails! We have lots of details to share with you and to accommodate everyone's reading style, we have put together a document that is both linked below and in the mail to your home address today. Don't worry! We don't intend to mail information to you every time we send an email. You will be referencing this information going forward so we wanted you to have a handy paper copy as well. Please read it carefully and if you have any questions, please ask. Home and Calendar take you to the Scotland 2016 Tour webpage. 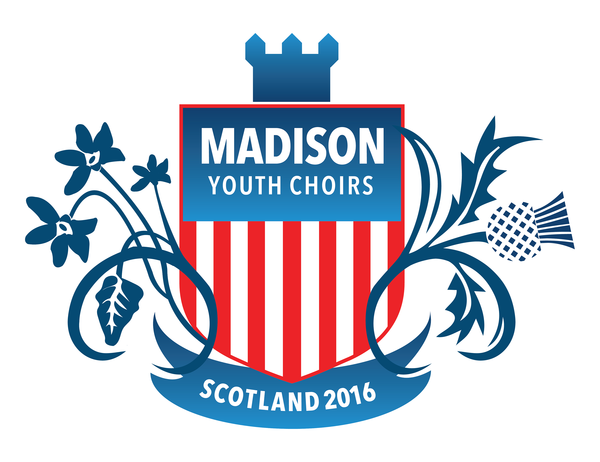 AIYF takes you to the homepage of the Aberdeen International Youth Festival. Gateway takes you to the homepage of Gateway, our travel vendor. KLM Baggage takes you to KLM's baggage allowance page. Passports takes you to the State Department's webpage for passport information. Archives takes you to the running list of Weekly Notes and Scotland Tour emails. All of these links will be helpful to you in the coming months. Bookmark them or use the handy header to find your way.